A celebration of life was held Sunday, Oct. 30, at the Boulder Falls Inn in Lebanon, Ore., for John Harold Bute of Lebanon. 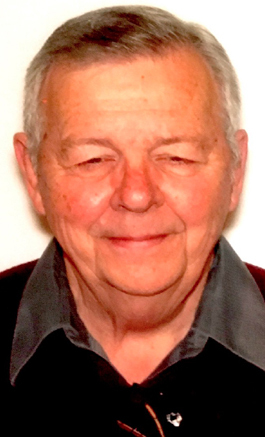 Bute, 75, passed away Wednesday, Oct. 26, 2016, from natural causes. He was born Sept. 9, 1941, in Jackson, Minn. Upon graduating from Anoka High School in Minnesota, he enlisted in the U.S. Air Force. While in the Air Force, he served in Guam and other duty stations. In 1960, John met the love of his life, Lillian Lorene, at the local bowling alley in Roswell. The two were married on his birthday, Sept. 9, 1961, and enjoyed 55 wonderful years together. John was an avid reader, game enthusiast, and charter fan of the Minnesota Vikings. He was always kind and of generous spirit. He was a wonderful mentor and coach to many, starting with his days as a Little League baseball coach. Survivors include his wife, Lorene; two children, Monte Bute of Boise, Idaho, and Renita Drake and husband Pete of Gresham, Ore.; and his five adoring grandchildren.